Saturn is the sixth planet from the Sun--the farthest planet in our solar system visible to the naked eye. It has a set of seven rings around it, made up of particles that orbit this giant planet. It is the second largest planet in the solar system. Saturn circles the Sun in an elliptical, or oval-shaped, orbit. This means that it comes closer to the Sun at some points than others. Saturn's average distance from the Sun is 890 million miles, as compared to Earth being "just" 93 million from the Sun. At its furthest point from the sun, known as aphelion, Saturn lies 934 million miles away; at perihelion, the shortest distance from the Sun, it is 837 million miles away. Everyone knows that an Earth year is 365 days long, but Mercury's year, because of its close proximity to the Sun, is much shorter, being an 88-day affair. Saturn, due to being so far from the Sun, takes much longer to complete the trip. One year on Saturn lasts for 29.5 Earth years. Another term that describes the distance of Saturn or any heavenly object from the Sun is astronomical units. One astronomical unit is the distance that our own Earth is from the Sun--93 million miles. Earth is 1 astronomical unit from the Sun, while a planet such as Mercury is .39 astronomical units from the sun. Saturn though is 9.54 astronomical units from the Sun. The next planet after Saturn is Uranus, at 19.2 astronomical units. It is more than twice as far away as Saturn, which is why Saturn is the last planet that ancient men could identify without optical aid. 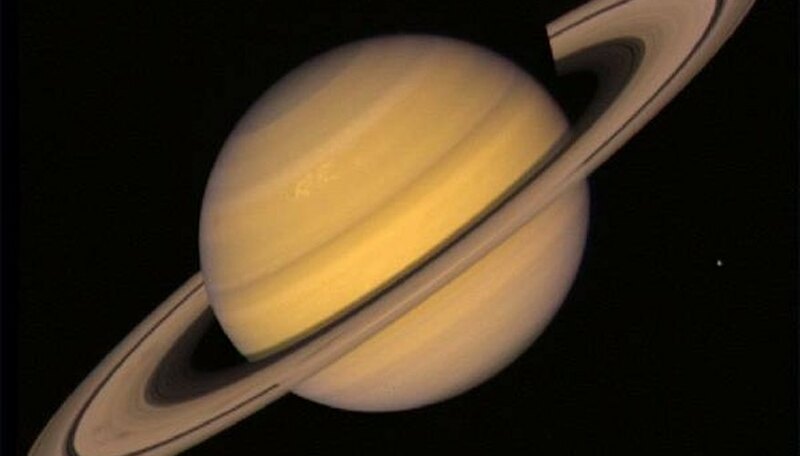 To put how far Saturn is from the Sun into its proper perspective, you should consider the following: if you were to walk to Saturn from Earth at an average pace, it would take you over 30,000 Earth years to do so. If you could drive there at 200 miles an hour, it would "only" take 457 years. A jet going 600 miles an hour would need 152 years to reach Saturn. A 17,500 mile-per-hour rocket takes five full Earth years to make it to this ringed world. Saturn's far distance from the Sun makes it too cold to support life as we know it. Saturn is a mostly gaseous world with a solid core. The distance from the Sun also means that it takes a very long time to send probes to Saturn that can return accurate information. 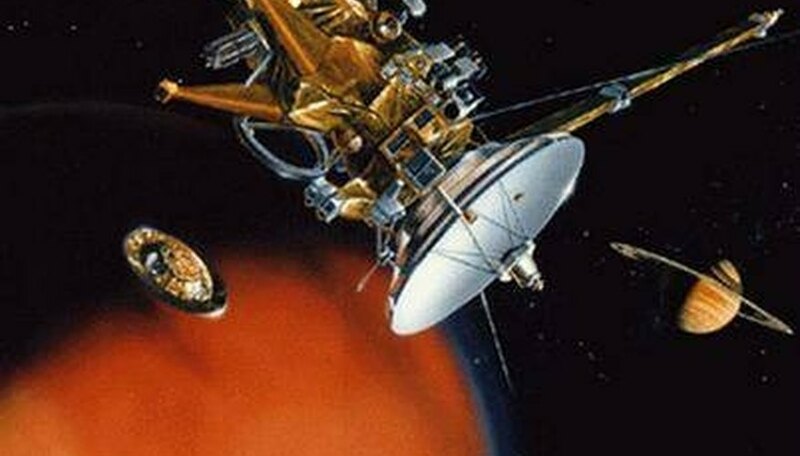 One such probe was the Cassini-Huygens Probe. It was launched in October of 1997, and didn't go into orbit around Saturn until July 1st of 2004. What Is the Length of Orbit & Revolution of the Planet Saturn? Lindell, John. "What is the Distance From Saturn to the Sun?" Sciencing, https://sciencing.com/what-distance-saturn-sun-4568802.html. 24 April 2017.